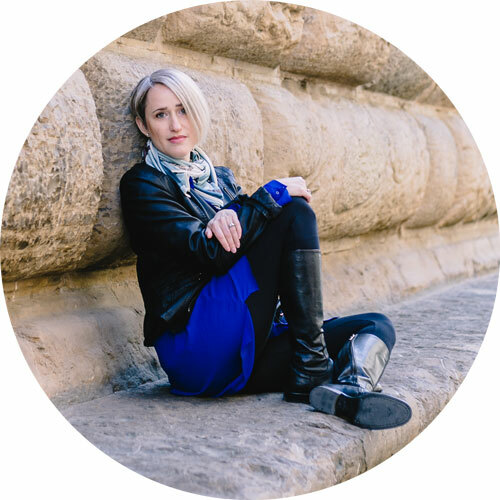 A guest post by Gayle Yarnall, an adaptive technology consultant and blind traveller. 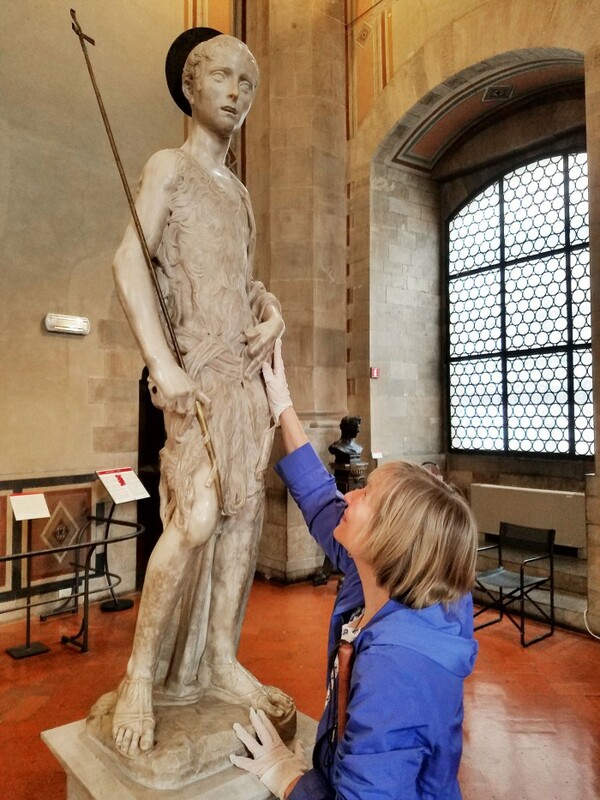 She wrote to me with questions about accessible museums in Florence before her trip, and wishing I could have helped her with more information, I asked her to write up her experience for us here. I am a totally blind travel junky. I also like to read and eat. Fortunately, all these passions fit together well. I grew up and spent my younger adult years with very limited vision. I was never really a print reader but I did have some vision that permitted me to travel. In 1996, at the age of 49, I lost my remaining vision. I spent my working years doing sales of and training with adaptive technology for people who are visually impaired. I know more blind people than you can imagine and most of them live active and interesting lives. When I lost my vision I was committed to being able to continue traveling. 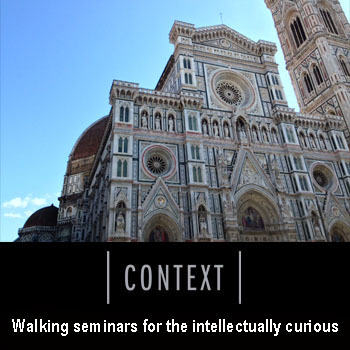 I recently planned a trip to Florence and Tuscany and wrote ahead to Alexandra to ask if she had any tips for blind travel in Florence. 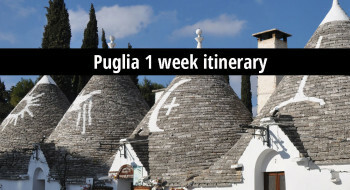 This is my trip report and some tips to help future blind travellers to explore this Italian city. My husband also loves to travel and he is a truly wonderful sighted guide. Together we have traveled the world for work, as volunteers, and just for fun. I am in charge of research and planning, although he does a better job than I do at arranging flights and places to stay. I start preparing for a trip months before we leave. I am convinced that reading as much as I can about the place we are going will allow me to see that place when we are there. I read nonfiction, mysteries, historic fiction and travel books. I read 22 books about Florence before we left (see my list at the bottom of this article). When possible, I download all the walking tours and museum tours from the Rick Steves website and listen to them several times before I go. I also take my smartphone with me and use the museum tours whenever I can while walking through the museum. I use the forums on Rick Steves and find that people love talking about their travels, and occasionally I have struck gold doing this: once I met a woman in Athens who arranges private museum tours for people who are visually impaired! We opted to rent an apartment, and used the VRBO platform to do so. There was a lot of choice and we researched areas in order to determine that staying near the Duomo in Florence was best for us, being very central. Before trips I usually try to find out if there are any special advantages for people with disabilities in my chosen location. I don’t like to take advantage of being blind but traveling is expensive and I like to do something for the person who will be guiding me. With regards to Florence, I wasn’t able to get any straight answers before arriving – so this blog post should help you! 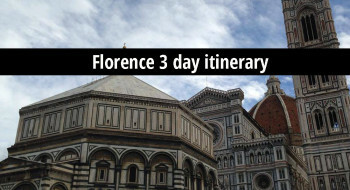 We booked a two-week vacation: my husband, sister and I spent the first week in Florence, while the second week, my sister and I stayed with a friend in Pistoia. I will focus on Florence here but I suggest that everyone who can, takes some time in a smaller town to learn more about real life in that part of Italy. (See my posts about Pistoia on my blog) On one of our days in Florence we took a ride into wine country and visited a winery and had a lovely lunch in a small village in the Chianti area. We arrived on a weekend so began our first day, a Sunday, at the Travel Information office right near our apartment. 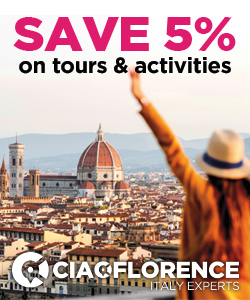 They recommended the Firenzecard, the city’s museum pass, which is good for 72 hours and 72 museums. They explained how the museum pass would work and that I would get in all museums as a blind person and my husband would get in as my guide. [Editorial note: all state and city museums in Italy are always free for people with disabilities and the person accompanying them.] This meant that our group of three needed only one Firenzecard pass (for my sister) and also, that the three of us would never have to stand in line. The exception to this is that you have to go to the ticket office to “convert” the pass into a single ticket at each museum (that’s how they keep track of traffic); in our case, usually someone would bring us tickets. 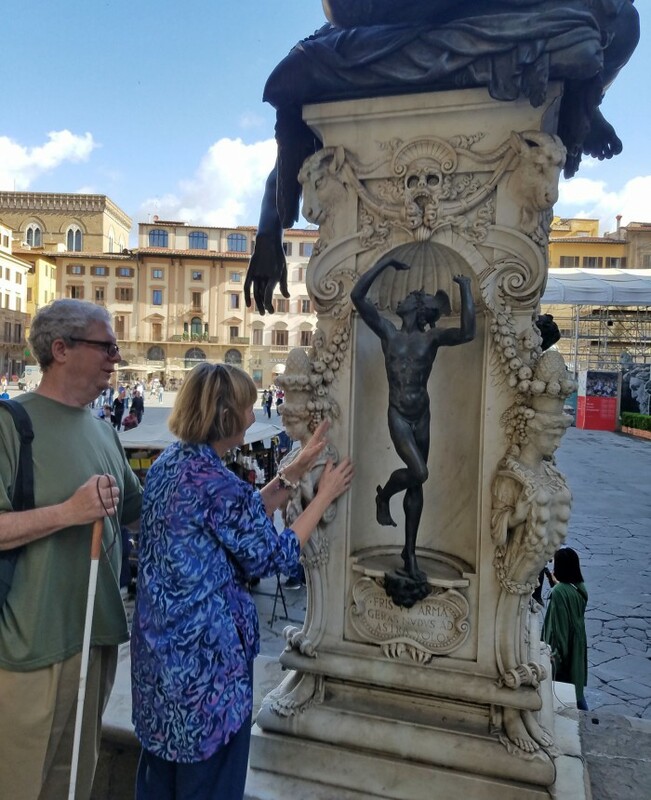 I can’t imagine trying to do Florence without a sighted guide. I had two of them on this trip, my husband and my sister. The sidewalks are narrow and often indistinguishable from the streets. Luckily, in the historical center, many of the streets are pedestrian only, and others had limited traffic, so at times we found it easier to walk in the street than on the sidewalks. However you always need to be ready to jump on the sidewalk. On the smaller streets, like where our apartment was located, taxies mostly emitted a soft beep to let you know they were approaching. We were treated like royalty in all the museums. 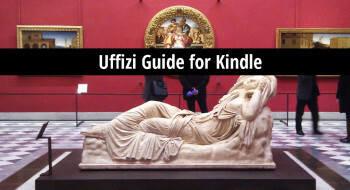 Our first stop was the Uffizi. I wish I had used the audio tour because I know we missed some important paintings. I particularly liked the Leonardo da Vinci paintings, in particular the unfinished Annunciation. He used his fingers to get results he wanted and it was fun to have people look for these finger paint smudges. The museum has a tactile representation of Botticelli’s Birth Of Venus. I got to share this experience with another blind person. 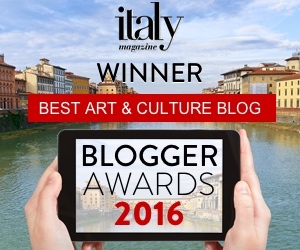 Visiting the Bargello Museum was a life changing experience for me. This building was first a town hall and later a prison. Now it houses many well-known and not so well known statues by people like Michaelangelo and Donatello. A guard saw me in the gallery and brought me disposable gloves and encouraged to touch all of the sculptures. I mean really touch, not just with one finger: I could use both hands and really get to know them. I could not believe this was really happening. My husband stayed by me and explained what I was touching, and it was just the two of us in the whole world as I focused on this sensation. 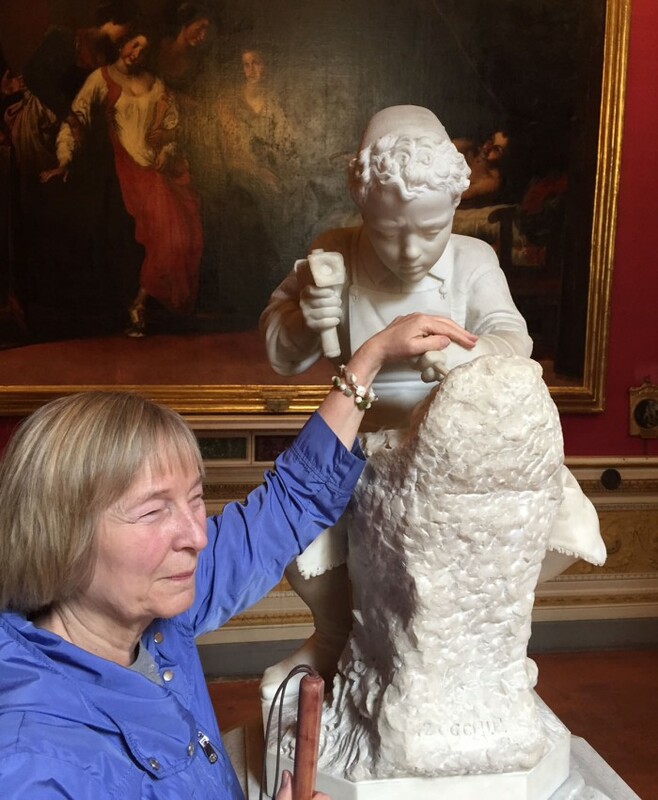 The other place I was invited to touch sculpture was outside Palazzo Vecchio. Although many of the pieces are high up on pedestals others are protected by ropes, which the guard moved for me so I could touch some of these marvelous works of art. I also really liked San Marco, the Dominican convent which is a museum but you can walk through the monastic spaces and into some of the cells that the friars slept in. Standing at the doors of the cells allowed me imagine what it was like living there. I would have been happy to move in. Of course I couldn’t touch the famous David in the Accademia and there were no particular features to help the blind here, but just being in the room was breathtaking and I felt how special he was. I could write volumes about the food and wine in Florence. We all wanted to taste everything. It is easy to find fabulous food where ever you go, while fast food in Italy is a pastry and coffee while standing at a local coffee bar. I fell in love with the hot chocolate. Amazingly, with all we ate, we did not gain weight. Walking as much as you can is a great way to keep off the extra pounds. I also really have to mention the beautiful clothes in lovely shops where ever we went. My sister and I spent hours touching beautiful garments that we would never ever buy and no one ever seemed grumpy that we were just drooling over their merchandise. Now, what I will always remember mostly about Florence are all the heavenly smells. In twenty feet you might smell bread baking, leather, garlic, and every other herb you can imagine. Once I even helped my sister find our way home by the aromas in the air. When we were in other smaller towns there were flowers blooming everywhere. Sometimes I just had to stop and ask what we were walking by. I have been to Italy four times and the bottom line is that I could easily live there. I love everything about it, especially the friendly people. I tried to learn some Italian before I left and I was so glad I did. Everyone was gracious about helping me speak correctly and they all tried to speak English as best they could. If you are visually impaired and wondering if that will stand in your way while in Italy, don’t worry about it. Just grab someone you love and enjoy.